Stem cells, are cells found virtually in all multicellular organisms including humans. In mammals, stem cells are divided into two main categories, adult stem cells and embryonic stem cells. Adult stem cells can be found in many tissues, for example bone marrow. The main role of adult stem cells is to replenish dying cells and regenerate damaged tissues. Embryonic stem cells are found in the inner cell mass of blastocysts. They have the potential to differentiate into all kinds of cells, with their main role being the development of tissues and organs (embryogenesis). There are two important characteristics that distinguish stem cells from the rest of the cells that an organism has. First, they are unspecialized cells, with the ability to renew themselves for long periods of time through the process of cell division (self-renewal). Their second characteristic is that under certain physiologic or experimental conditions, they can be induced to become cells with special functions (potency), for example they can develop into heart cells, muscle cells, neural cells etc. Obligatory asymmetric replication, during which a stem cell divides into two cells. The first, called father cell, is a stem cell identical to the original one, and the second, called daughter cell, is a differentiated and more specialised cell. 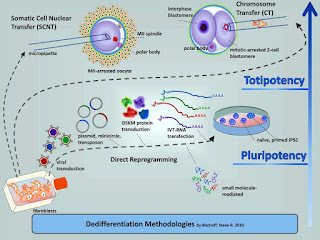 Stochastic differentiation, in this process two stem cells participate. The first develops into two differentiated daughter cells while the second undergoes mitosis and produces two stem cells that are identical to the original. Totipotent, we could say that these stem cells are the kings of the stem cell world. Once the egg is fertilised by a sperm it immediately starts producing totipotent stem cells. They have the greatest possible capacity and can theoretically construct a complete organism from scratch. Some of the embryonic stem cells used for research belong to this category. 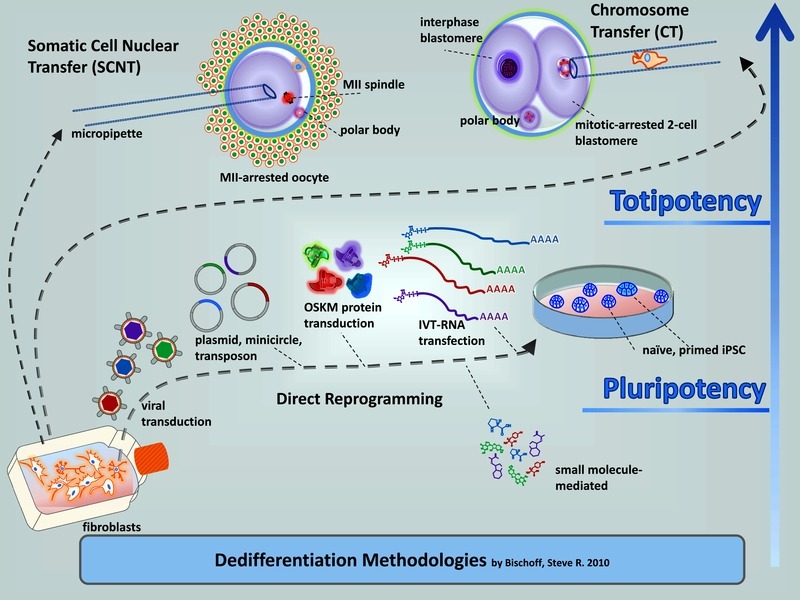 Pluripotent, they are the immediate descendants of totipotent stem cells and can still differentiate into all types of tissue except the placenta. 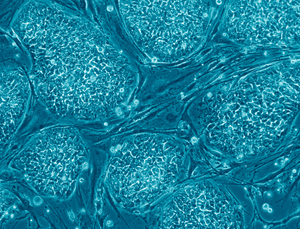 Pluripotent stem cells are the most common used type of embryonic stem cells. Multipotent, are stem cells that can differentiate into many different types of cells, which all however belong to the same "family"! For example hematopoietic stem cells can develop into several types of blood cells(e.g. red blood cells or platelets), but can't develop into neural or muscle cells. Oligopotent, these stem cells can only differentiate in a very limited number of closely related cells. For example, vascular stem cells have the capacity to become either endothelial or smooth muscle cells. Unipotent, are stem cells with the capacity to produce only one type of cell. Their existence is still unclear as scientists have yet to discover such a stem cell. Adipose tissue (fat), a liposuction is required to extract stem cells. Stem cells taken from umbilical cord blood right after birth are another option. Umbilical cord blood stem cells are actually getting more and more popular as time passes, and they can be used both for autologous or allogenic purposes. For example, new research data shows that they may one day replace classic bone marrow transplants. From a Morula (embryo at a very early stage of development), stem cells extracted from a morula are totipotent. From Blastocysts (embryos of 4-5 days of age), stem cells extracted from blastocysts are pluripotent. From organs of fetuses, these stem cells are called fetal stem cells. Multipotent stem cells can also be found in the amniotic fluid. Amniotic stem cells are very active and can differentiate intp almost all kinds of cells like the ones of adipogenic, osteogenic, myogenic, endothelial, hepatic and neuronal lines. Scientists are continuously innovating new and less invasive ways for stem cell extraction. For instance, they recently managed to produce stem cells from urine! And this brings us to another category of stem cells known as Induced Pluripotent Stem Cells. Induced pluripotent stem cells (iPS cells or iPSCs) are not to be confused with adult stem cells. These stem cells are artificially created ,using various means, by reprogramming normal adult cells in order to give them pluripotent capabilities. Various sources have been successfully used to create iPSCs, including adult skin tissue, blood, urine and foreskin. 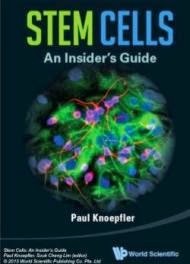 Parthenogenetic stem cells are a unique class of stem cells, mainly used by International Stem Cell Corporation. The stem cell controversy is the ethical and legal debate regarding the destruction of human embryos necessary for embryonic stem cell research. However more and more researchers abandon embryonic stem cells and focus their studies on adult stem cells and iPSCs, thus bypassing any ethical and legal issues. What are the costs of these various procedures?